In action together with our partners! 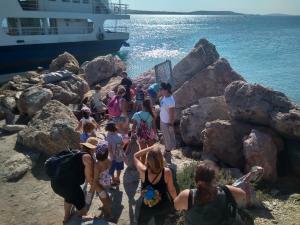 Read here about the kick off activities of the ‘Recycle the Seas-Cyclades’ project, supported by the CPF and run by Aegean Rebreath, that took place in Antiparos some days ago, with the participation of local authorities, fishermen, divers, young students with their parents and teachers, as well as Plastic Free Greece, another partner of the CPF. We are so excited from the warm welcome and participation of the locals in this initiative! More to come, soon and we will be there!